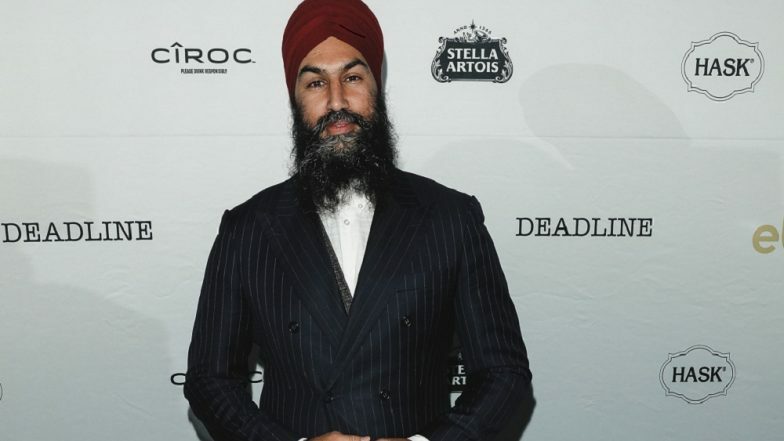 Ottawa, March 20: Indian-origin Jagmeet Singh has created political history in Canada when he made his debut in the House of Commons as the first non white leader of a major opposition party in the country. The arrival of the turbaned leader into the house on Monday, cheered by all members, coincided with the induction of a senior woman member into Prime Minister Justin Trudeau's cabinet. Singh, 40, the leader of the New Democratic Party, placed his hand over his heart as he walked into the House of Commons, the lower of house of Parliament, before the daily question period. He was elected in federal by-elections held on February 25. Singh's first words as an elected lawmaker were about last week's terrorist attack on two mosques in New Zealand. Bhangra Face Off Video; Canadian Ministerial Candidates Jagmeet Singh & Navdeep Bains Shake their Legs to the Bhangra Beats. "I want to begin by expressing our solidarity with the people of New Zealand who are mourning the attack on Muslim brothers and sisters... in Christchurch," he said. About 50 people were killed last week in the Pacific country's worst-ever mass shooting. He then launched his first question about housing in Burnaby-South. "I met a mom in Burnaby. She bought a home, but cannot afford to live there anymore. Her daughter has a good job, but only gets by because she lives in the basement. Her son does not see a future. Like too many Canadians, he has lost all hope," Singh said. "However, the prime minister is telling families like theirs to wait for help. I believe that better is possible. Will the government commit to building half a million new affordable homes?" he said. Prime Minister Trudeau responded by congratulating Singh for his entry into the Commons, before touting the government's record on fighting poverty. Singh's remarks echoed the mood of the House on a crucial day when the prime minister beleaguered by the resignations of his two key cabinet colleagues. Speculations are rife that the last budget of the Trudeau government with an eye on the general elections in October is expected to have several attractions for the middle class.